These ready-to-paint, tempered hardboard panels are factory-coated with gesso. They're excellent for oils, acrylics, gouache, egg tempera, or pen and ink. 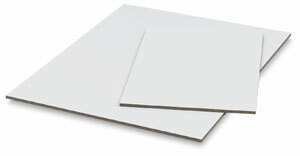 Panels have a smooth surface. Each panel is 1/8" (3 mm) thick.